I scheduled a Google Hangout from Google Calendar (under my personal Gmail account). I'd like to have a way for participants to join it by phone only - either them dialing in or me dialing out to them. How can I do this? 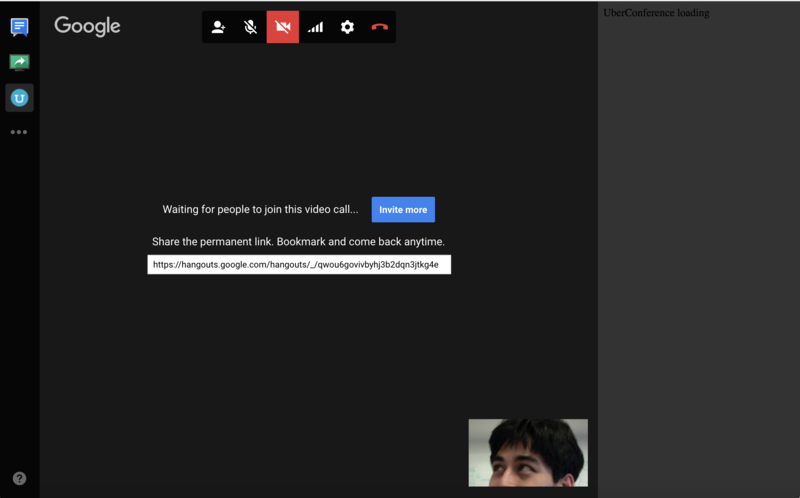 I tried installing the UberConference Google Hangouts app, but when I open it, I just see a panel saying that it is loading (have not been able to get it to load). I saw this support article, but I do not see a "call tab" as described. and from there, clicking the phone keypad icon (to the right of the "add names or email addresses" field) brings up another dialog from which you can dial a phone number. Not the answer you're looking for? Browse other questions tagged google-hangouts or ask your own question. Is there a way to be notified when someone initially opens hangout session? Is there a way to show the total number of individual messages sent in a Google Hangout? 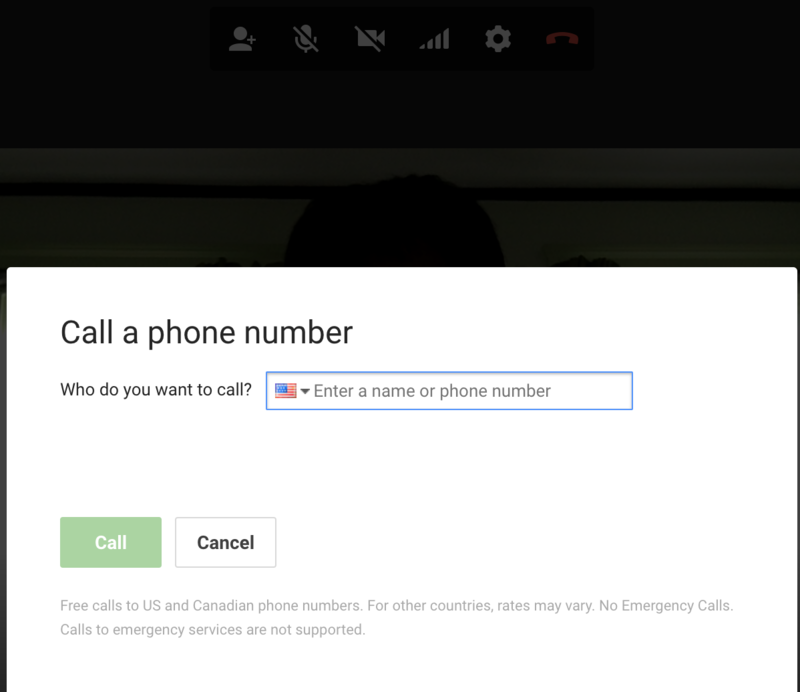 How can I test the connection prior to the scheduled time of a Google hangout? 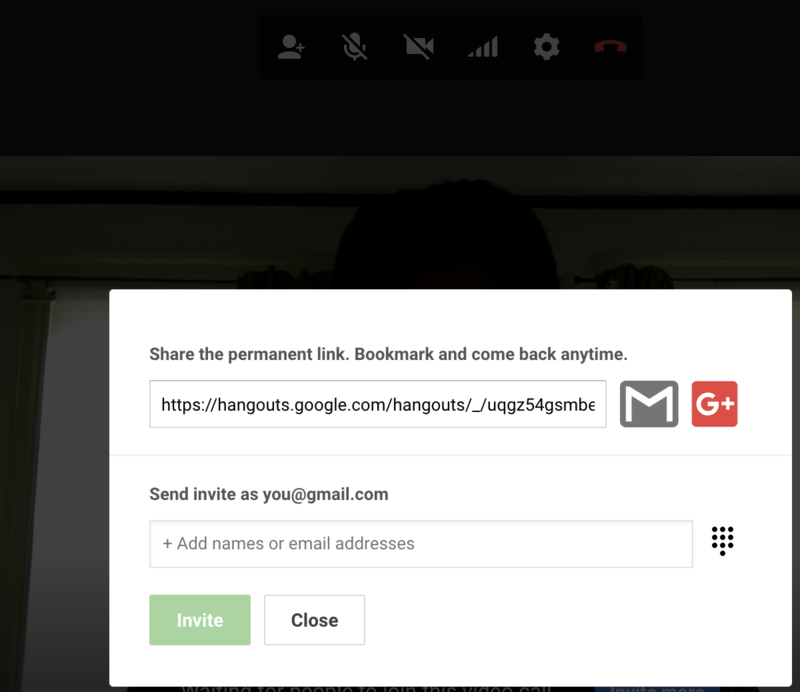 How can I schedule a Google Hangout?